See below on how to get a discount and FREE shipping with your purchase of a Whole-Body Vibration Exercise machine using the code LiveFit. 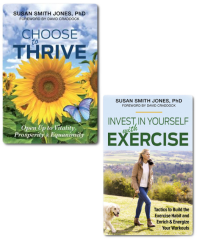 To listen to an interview on the international radio show Vibrant Living with host Carla McClellan where I discuss The Many Health Benefits of Vibration Exercise, click HERE. Whole-body vibration exercise has many benefits for the body including improved circulation and balance. It also enhances muscle strength and performance, especially in a less active body. It's a quick way to warm up and the perfect adjunct to our Biomechanics and Pilates Instruction. Using vibration exercise equipment 10 minutes each day can make a positive difference to your fitness level in no time at all. Ever wonder when the future will arrive with its self-driving cars, pills that prevent wrinkles, and contraptions to get you in shape without all the vigorous effort? Well, one of those things actually is here although you may not even know about it. Popular abroad and accessible in many gyms already here in the U.S., whole-body vibration exercise (WBV) is getting the attention of the already fit as well as the not so fit for its safe, time-saving, and healthful benefits. Using simple science and minimal movement by the user, this machine is ideal for long term use as it eliminates the need to stress the joints and muscles in order to achieve results; instead, it allows something else to do all of the work, something that we experience every moment of every day—gravity. As a long time advocate and practitioner of healthy living, I’ve never been one to eschew exercise. However, that doesn’t mean that if something existed which could be used in conjunction with regular exercise, eliminating the consistent need for sweat and vigorous exertion, that I wouldn’t be on board—or on the platform — whole-body vibration exercise platform, that is. The platform is the key to whole-body vibration exercise. Standing atop this platform, the user experiences intense vibrations, which actually activate motor neurons in the spinal cord, which then signal the brain to increase muscular force production, a complex process all to be explained later within this article. I will also explain how its effects benefit us, and who may benefit most from this device based on the scientific research. Furthermore, I will provide testimonials from regular users of my favorite brand of whole-body vibration devices, Rock Solid. You will see why this revolutionary product is transforming the face of exercise while also transforming bodies across the world. Whole-body vibration exercise utilizes the force of gravity, which plays a key role in fitness, to stimulate muscle development and build strength. We must resist gravity to move and the more we resist, the more exertion our bodies experience. Activities as simple as standing and walking require us to resist gravity. The more we move, the more we resist gravity and therefore, the fitter we get. Think about weight-bearing exercises and how they build muscle. The heavier something is, the harder it is to lift due to gravity’s force. It’s something so self-evident but we rarely ever think about it this way. Because “the strength of a gravitational field is proportional to an object’s mass”6 and all humans have a gravitational field, how much gravitational force the body feels determines how well developed our muscles are and how well our cardiovascular and all other bodily systems perform. For example, on the moon, humans experience only 1/6 of the gravity that they experience on earth which would leave them vulnerable to diminished musculature and heart functioning if they were to remain there. (The scarcity of oxygen may be a more pressing problem though if you’re hanging out there for a bit). Sedentary lifestyles reduce our resistance to gravity which is why we so frequently hear these days that “sitting is the new smoking.” On the other hand, on a planet like Jupiter which has a stronger gravitational force than earth, humans would develop more robust cardiovascular systems and muscles as a result of the constant force their bodies would have to resist.2 So unless we are sitting or lying down, our bodies are always battling gravity. This is specifically the concept behind weight training which requires more resistance from gravity the heavier the weight and it’s the same concept in whole-body vibration exercise, just without the weight which can negatively impact joints and muscles. Not only do the machines rely on frequency in vibration in the form of hertz but on amplitude as well. Amplitude refers to the vertical distance that the platform moves. As with the frequency settings, different machines offer different settings for amplitude, which is measured in millimeters. And as with frequency, the higher the setting, the better the results. However, it should be noted that both frequency and amplitude should be modified to fit one’s fitness and desired outcome levels because as with any exercise, overdoing it can be dangerous. But obviously higher level settings typically lead to better results. Doctors in recent years have begun to discover links between sitting and diseases such as lethal as cancer, heart disease, and type 2 diabetes. The body requires the stimulus of gravity for optimal health and without it, it begins to degenerate. According to a doctor at NASA, there is little appreciable difference between sitting for extensive amounts of time and the weightlessness astronauts experience in space. Prolonged exposure to weightlessness is considered dangerous and unhealthful, as astronauts lose muscle and bone, not unlike people who spend too much time on the couch. NASA scientist and researcher as well as prolific author, Dr. Joan Vernikos, claims that, “exercise without gravity is not as effective.” We may not have been thinking about it this way all these years, but what seems clear now is that it is resistance to gravity, which is the key component to exercise and what keeps us healthy, vital, and in good physical shape.5 You can imagine then that when we colonize the moon, WBV will be a must-have item for every household (the design would porbably have to be changed). There are a variety of other health benefits associated with regular use of WBV, some of which are quite astonishing. These include the production of human growth hormones, cellulite reduction, collagen production, improved cardiac health, and even improved lymphatic functioning. Ongoing studies on other functions are likely to reveal even more health benefits. With WBV you’ll get in a workout, get fit, and find yourself the beneficiary of some fantastic bonus benefits as well! And speaking of the brain, it’s difficult to wrap the brain around the idea that one vibrating platform can provide so many incredible health benefits. Believe me, I was a skeptic initially, as you might imagine. 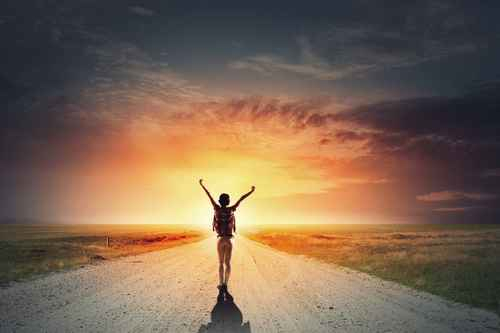 But as both my experience and all of the well-documented research can attest, the claims, and most importantly the results, are indeed an incredible and exciting reality. There are many brands on the market and you want to look for one with a solid track record of good performance and benefits. After much research on many different brands in my price range, the brand I chose to use in my home and private practice because of its quality and effectiveness is Rock Solid. I have both their portable unit, which I can carry with me when I travel by car, as well as their RS7000 unit. This exercise equipment has made a positive difference in my physical health with an increase in bone density, more energy, improved circulation, weight loss, a stronger core, and much better balance. 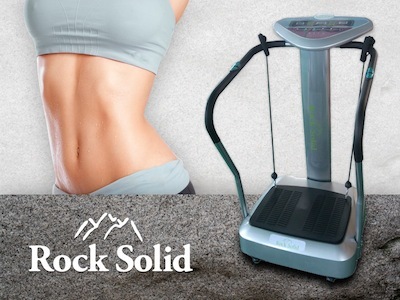 Also, many of my friends and clients use the equipment from this company, and here is what some of them are saying about the Whole Body Vibration Equipment by Rock Solid. 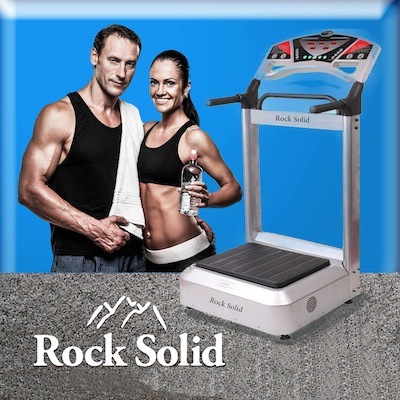 For more information on this company and their products, please visit: RockSolidWholesale.com. Anne Cooper — Chiropractor, Nutritionist, Wellness Expert, Bvital.la, Los Angeles (Brentwood), CA: Here at my Brentwood Vitality Clinic, it’s essential for me to find time daily to exercise. What I appreciate about my vibration fitness machine is that I can get in a good workout in minimal time. Often I will use it first thing in the morning, but I also make time to use it, even briefly for 3-5 minutes, in-between seeing patients. 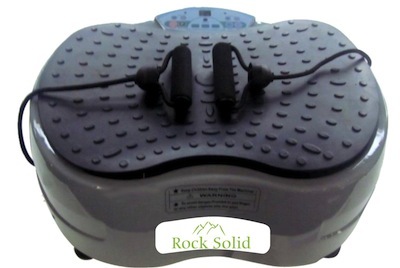 I would recommend this Rock Solid equipment to anyone wanting to tighten their core, lose weight and inches, strengthen their muscles and bones, improve their proprioception, increase energy and have more balance and vitality. Michael Schwartz — San Antonio, Texas: We have two Rock Solid Fitness Machines at our company for all of the employees to use. They have been very popular and we’re seeing a variety of positive results — everything from weight loss, greater strength, better balance, more energy, tighter core muscles, and even more positive attitudes from everyone using the equipment. In fact, people sign up to use the platforms each morning first thing so they can exercise indoors during the day. This equipment has been a boon to our work environment. Craig Swabek — Owner of Highland Fitness, Louisville, Kentucky: My gym is filled with countless pieces of exercise equipment of all kinds, and our Rock Solid Vibration Fitness Machine is the most popular equipment in the gym. Need I say more? It gives results quickly with minimal time. Everyone loves to use it. Ginny Swabek — Lake Worth, Florida: I wish I had this exercise equipment long ago. The high heat and humidity much of the year here in Florida makes it difficult to exercise outdoors, and I am not interested in joining the gym. So now my husband and I carve out a few minutes two times daily to enjoy our workouts on the platform. It’s given us more energy, our balance is better, and we both feel younger. Fidel Flores — Landscape Architect, Los Angeles, CA: My work is very labor-intensive and since using the vibration equipment each morning, I no longer feel tight and sore at the end of my workdays. Just 10 minutes, first thing in the morning, is all I need. In the seven weeks that I’ve been using the Rock Solid Fitness equipment, I now have better balance, I’ve lost several pounds, I have more energy during the day, I sleep better at night, and my core is much tighter. Diane Ray — Hay House Radio, Encinitas, CA: This equipment is so much fun to use that anyone can do at any physical level. It’s so popular here in the break room at Hay House Publishers. Even my engineer’s 6-year-old daughter loves to use it when she comes to the office. I can tell that my balance is better in only a short time using this equipment. Bonnie Ross — Accountant, Santa Monica, CA: I’ve let many people try this equipment in my home and everyone loves it, too. It always makes me feel invigorated and the time goes by so quickly when using this vibration machine. And in the two months of using the platform, I’ve lost several pounds. This is now my daily exercise companion that is making a positive difference in my life. David Craddock — Specialist in Employee Share Ownership & Reward Management, London England: This equipment has been a godsend to me. I usually sit way too much during my days — at my desk, driving my car, or taking the train. 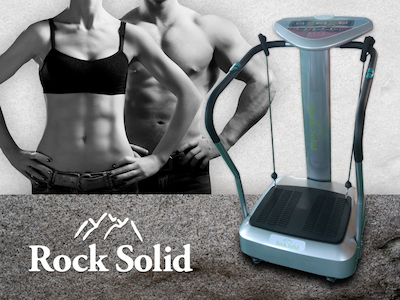 Using the Rock Solid platform for just 10 minutes a day, over these past six weeks, has resulted in better circulation, improvement in my balance, a reduction of two inches in my waist, a stronger core, and more defined muscles all over my body. I only wish I had started this years ago. Karen Page — National Sales Manager, Penn Herb Company, Philadelphia, PA: From using the Rock Solid Vibration equipment over six weeks, I have more energy and my circulation has improved. My balance is so much better, and I feel more toned in my muscles. We also have two pieces of this vibration equipment in our store in Philadelphia for customers to use before or after shopping and everyone loves this equipment. In fact, it’s one of the main features in the store and people often ask us where they can purchase it for their homes. Jonathan Landsman — Founder of NaturalHealth365.com, International: My wife and I usually use this vibration equipment in the mornings and it makes us feel more energetic; it really gets the circulation going and takes away any muscle stiffness that sets in through the night. Dianne Warren — Author, Publisher, Fitness4Kidz.com, Sarasota, Florida: I was amazed at how quickly I felt the results of using my vibrating platform. My bone density test scores rose immediately! My increased core strength improved my balance and sense of well-being. It’s hard to imagine how many bodily systems are impacted by the 10-minute “workout,” but I know it is working for me and my husband as well. I also appreciate how the vibrating platform is beneficial for all ages… from the young experiencing growth spurts, to the elderly needing to improve their balance, muscle mass and bone strength. Our physical therapist uses the vibrating platforms for all the above reasons as well as to speed up the healing process for bone damage, especially from joint replacements. Tiana Brandon — Licensed Esthetician & Wellness Professional, Los Angeles, CA: As I was training for my first half marathon, I used the vibration machine in-between my run days. I pressed a preset program and stood on the plate with a slight bend in my knees for 10 minutes. A great benefit is that it takes almost no effort or time, which is helpful as I was pounding the pavement the other days. I can use the vibration equipment while catching up on some TV, too! Using it between runs helped me rest my legs while still engaging my core and lower body to strength train. I also noticed an increase of energy. I went through all of the various presets in the guide and chose the preset that worked best for me. Jennifer Culin — Daidone Salon, Brentwood, Los Angeles, CA: After working long hours in the salon, I don’t have much time to exercise as much as I should. The Rock Solid made it so easy for me to spend 10 minutes on my body without having to go to the gym. A huge plus for me was feeling the burn during the workout but never felt sore afterwards! Frank Ayala — Long Beach, CA: I have bad knees, so after a day of work with constant running around and lifting 100+ lbs. units all day, I don’t really feel like going out for a walk let alone to workout. This alternative has been a great benefit to my health. All it takes is just 10 minutes on the platform, which is enough to give me that pump and invigoration. I simply chose the level of intensity, although I’ve found that the third program on the preset setting is sufficient for all of my muscle groups. On average, I spend about 30 minutes a day using the equipment and because of that, I’ve seen progress to my upper and lower extremities along with my chest and core. All of this by maintaining proper posture and balance for 10 minutes, proved this skeptic wrong! Edwin Basye — Website Designer, SitesThatGrow.com, Douglas, AZ: The portable Rock Solid is enjoyable to use and amazingly powerful at the higher settings. I appreciate how uncomplicated it is to operate with the remote and the 10-minute programs. After the program, I feel like I have really had a workout, even though I've done nothing but stand on the platform. It's easy to balance on with just the strap handles and adding in resistance bands maximizes an overall head to toe workout. It’s also had a very beneficial affect with my back pain, too. It's a great machine and I so grateful that I have one of my very own I can use any time. ■ Gravity plays a key role in fitness. We must resist gravity to move and the more we resist, the more exertion our bodies experience. ■ Whole-body vibration exercise equipment approximate weight-lifting by activating fast-twitch motor neurons in muscle spindles without weight, but rather through the frequency and amplitude settings of the machine which move incredibly fast. The higher the settings, the better the workout. ■ The duration of time required on WBV devices to produce results is often much less than the amount of time one would need to spend involved in weight bearing exercises. ■ For those looking to improve basic fitness, as little time as fifteen minutes three times per week can assist in building strength, improving flexibility, and burning fat. ■ There are variety of other benefits associated with regular use of WBV including the production of human growth hormones, cellulite reduction, collagen production and even improved lymphatic functioning. ■ Most exercise causes us to release cortisol because of the stress it puts on our bodies. WBV, however, does not cause us to produce cortisol, which is important because it can be counterproductive in attempting to gain muscle and increased cardiac strength. ■ WBV is currently being used to help people with symptoms related to Parkinson’s disease, MS, and arthritis. Not only does it help prevent bone loss in post-menopausal women but even helps increase bone density. Use the code LiveFit to receive FREE shipping and a Resistance Band Package, as well as a substantial discount on the machine. 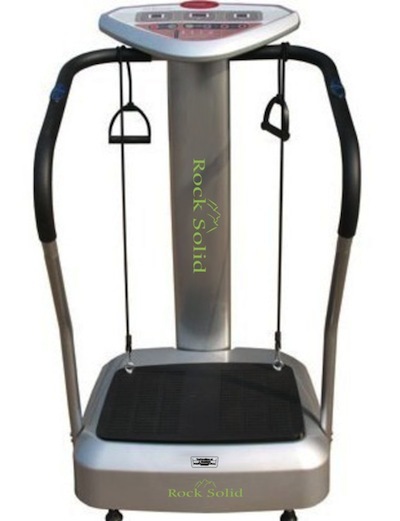 To ask questions about vibration exercise, to inquire about which whole-body vibration exercise machine is best for your home or office, or to order one, please visit: RockSolidWholesale.com or call contact their team of experts at: 888-476-9995. 1. Bennington-Castro, Joseph. "Sensing Your Own Body Is More Complicated than You Realize." Io9. Daily Explainer, 29 Nov. 2013. Web. 1 July 2015. 2. Ettenson, Gabriel. "Gabriel Ettenson, MS, PT Answers Your Questions About Whole Body Vibration." Hypervibe Whole Body Vibration. N.p., 16 July 2013. Web. 1 July 2015. 3. "How It Works." How Whole Body Vibration Exercises Work. N.p., n.d. Web. 1 July 2015. 4. Laskowski, Edward R. "Fitness." Whole-body Vibration Training: An Effective Workout? Mayo Clinic, 26 Mar. 2014. Web. 1 July 2015. 5. Mercola, Joseph. 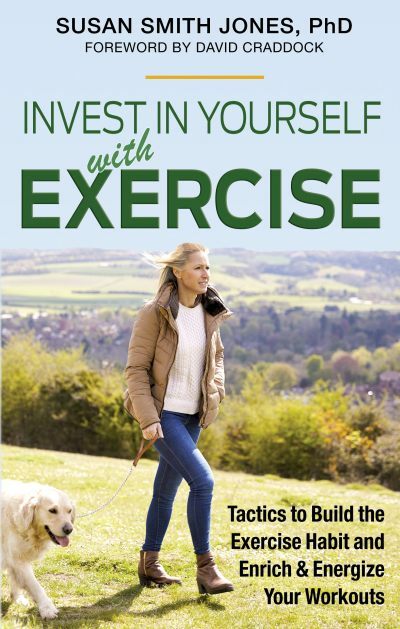 "Foundation Training Helps Counteract the Effects of Sitting." Mercola.com. N.p., 3 May 2013. Web. 1 July 2015. 6. Vella, Chantal A. "Whole-Body Vibration Training." 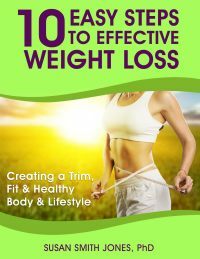 www.ideafit.com. IDEA Health and Fitness Association, 1 Jan. 2005. Web. Q July 2015.